Home › FixYourDLP › Articles › Which replacement projector lamp is best? Which replacement projector lamp is best? Why worry about labeling on a replacement projector lamp? You want the best replacement projector lamp not only to keep your projector working but also to protect your health and safety. When shopping for your replacement projector lamp it pays to pay attention to the label, especially when buying over the Internet. You’ll often see replacement projector lamps labeled as either OEM (Original Equipment Manufacturer), compatible or generic lamps. While price can be a deciding factor, the cheapest lamp usually ends up costing more in the long run due to quality and performance issues. OEM original projector lamps deliver the best performance and safety. The technology used for DLP projectors and RPTVs is a collaborative effort between two key companies. Texas Instruments (TI) invented the actual DLP technology while Philips created the UHP lamp used in DLP technology. Both companies have spent countless hours on research and development to perfect their inventions. 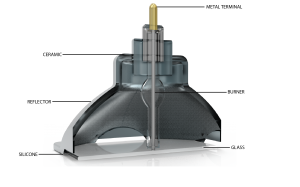 Top brands such as Sony, InFocus, BenQ, Sanyo (now Panasonic), Toshiba and Epson use these OEM bulbs to create the lamps needed for each of their particular projector. OEM lamps are of the highest quality offering the brightest luminosity, longest durability, best color and highest safety. These lamps remain the gold standard. 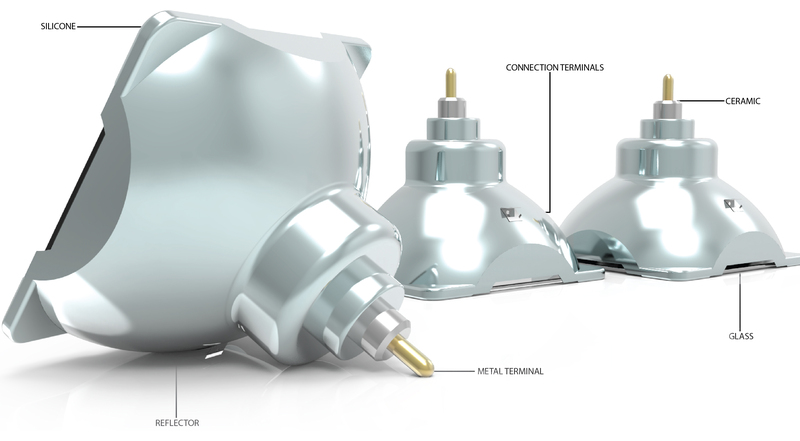 OEM compatible lamps are replicas of the same lamp but manufactured by a different company. Usually the original bulb created by either Philips, Osram, Epson, Ushio, and Panasonic is placed into a lamp housing. Philips has 60% of the market of OEM original Front Projector Lamps. Osram does about 30% of the manufacturing and the 10% comes from Japanese manufacturers. OEM compatibles are the most economic in the long run as well as being the most reliable since they have calibration, brightness, design and specifications designed to work with your specific projector. The difference is they are not individually measured or tested. In general an OEM compatible projector lamp lasts 3-4 times longer than counterfeit lamps. The widest range of lamp quality is found with generics. The best generics are created with a well-manufactured bulb and lamp housing that matches the specifications of an OEM original within a specified budget but they don’t contain any original Philip parts. Certain specialized companies such Discount Merchant have been approved by Philips to create their own lamp cages for the original bulbs. Generics do cost less but are not a bright and do have a much shorter lamp life. They must be replaced sooner and this may actually eat up any initial savings. You also must be more cautious buying generics to ensure you are purchasing from a reputable manufacturer. Counterfeit projector lamps are produced quickly without any attention to specifications or OEM technology. Since these manufacturers don’t have access to DLP technology, equipment or materials needed to create an OEM projector lamp, they often use toxic substitutes. They also take short cuts and forego important safety measures such as UV coated reflectors that protect our eyesight from intense DLP light. Often they are labeled as having original OEM bulbs, in order to sell them. While the low price can be tempting, they can be a poor choice because they are prone to overheating and exploding, sometime causing irreversible damage to a projector. Any cost savings can be quickly eaten up since counterfeit lamps have a significantly shorter life span. Installing a counterfeit lamp from a company unrecognized by the industry usually voids any warranties so repairs will not be covered. 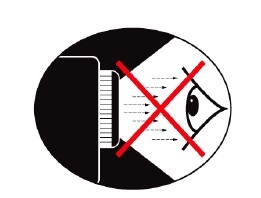 Your eyesight at risk with counterfeit projector lamps!